The possibilities are endless when you play video poker online at Slots of Vegas. A game you’ll only take a couple minutes to learn can bring the opportunity for huge cash winnings. Our dozens of varieties in casino games lets you choose from popular video poker selections like Double Bonus Video Poker, Double Double Video Poker or Deuces Wild which combine the best elements of slot games and the legendary excitement of a good round of poker. When it comes to variety, players hit the video poker jackpot when they come to Slots of Vegas. There is no other game that requires such a perfectly balanced combination of gambling skills and luck as video poker does. A fast-paced game for those seeking a quick chance to prove that it’s their lucky day, video poker online is one of our featured selections with the best pay tables, one of the lowest house edges, and amazing odds for large wins. Play video poker online for real money or try our fun mode version so that you can sharpen your skills – either way, you get all the electrifying thrills of the best video poker to play on the web. 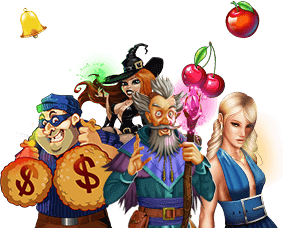 Remember to check the site frequently, because we’re always adding new casino games for your enjoyment. If you haven’t downloaded our casino software yet, go ahead and download the online casino onto your computer for an easier chance to win real cash! If you want to play right now, play video poker online with our instant play mode that requires no download or installation. Simply click and start playing now!